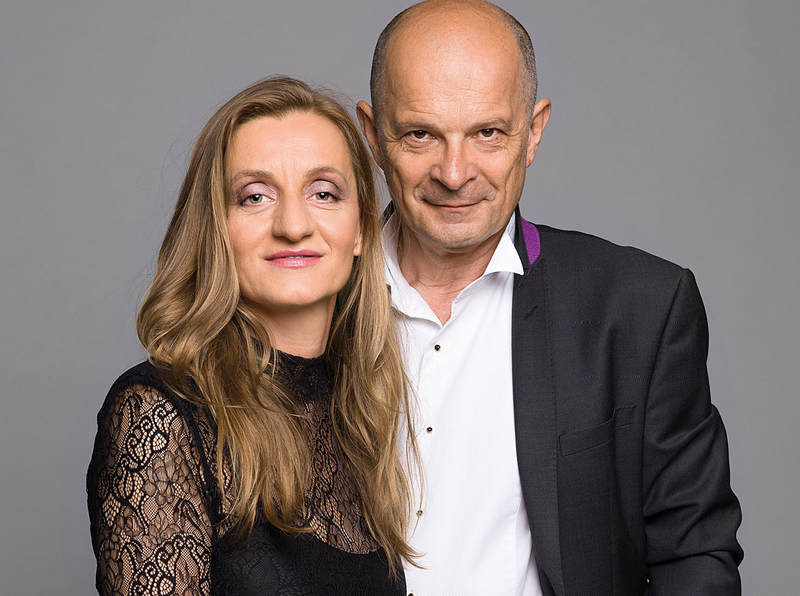 Nora and Miki Skuta, who are both music and real-life partners, have been playing together since 1996, when they started studying the repertoire for Piano Duo of the 20th and 21st centuries. The Skuta Duo represents one of the most important musical partnerships in Slovakia, both pianists being famous even beyond the borders of their Country for their successful solo careers, as proven by the extraordinary critical response to their respective recording projects (we need just think of the acclaimed “Goldberg Variations” recorded by Miki Skuta or the multi award-winning Cage album by Nora). Their Duo performances of repertoires ranging from baroque to classical, from romantic to contemporary music brought them on tour to the major European capital cities, from Warsaw to Paris, from Salzburg to Berlin. The German label NEOS has published the CD of their concert featuring music by Ligeti and Reich recorded live in the context of the biennial Salzburg International Contemporary Music Festival. Their latest CD, on the other hand, was recorded in Bratislava on two Fazioli pianos with the same colorful programme featured in tonight’s concert. ... A brilliant performance worthy of the most prestigious world stages.